Bellevue University is also featured in our ranking Top 25 Most Affordable Online Bachelor’s in Accounting. Bellevue University offers an accredited accounting degree program for undergrads. Completing this program helps students meet some of the academic hours required to sit for the Certified Public Accountant (CPA) exam. Any professional who wants to work as a licensed CPA in Nebraska must take and pass this exam. The test also qualifies individuals to work as a licensed CPA in another state. The program features 36 credits of general courses that students can take in their freshmen and sophomore years. They will also take 19 credits of electives. 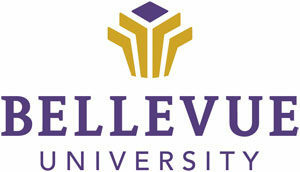 Bellevue University allows students to take business and accounting classes as electives. They can also take electives from other departments. The university requires that students take 72 credits of accounting and related courses too. Only after passing at least 127 credits of classes can students earn their accounting degrees. Those required classes include both 45 credits of business classes and 27 credits of accounting courses. Those courses make up the business and the accounting cores. The business core includes Business Policy and Strategy, Principles of Management, Principles of Marketing and Intermediate Computer Concepts and Applications. Most of the accounting classes in this program are worth three credits. Bellevue University asks students to take required accounting classes such as Advanced Accounting Problems, Accounting Information Systems, Cost Accounting and Intermediate Accounting both I and II. Nebraska is home to millions of people but doesn’t offer much in the way of adult education. The men and women behind Bellevue University wanted to provide more opportunities for those students. Founded in 1966 as Bellevue College, it opened with the goal of offering college degree programs for adults. The college accepted many of the students who applied in its first years and saw its enrollment grow at a fast rate. It had so many students enrolled during the 1970s that its campus went through extensive construction to add more structures for those students. Bellevue went through some financial problems in the 1980s as traditional schools began offering distance education programs. It bounced back though and now has an enrollment of more than 10,000 students. One reason for its growth and success was the addition of new degree programs. After becoming Bellevue University, the school added accelerated programs that allowed students to take more courses in less time to graduate faster than it would otherwise take. The university also added online degree programs and graduate programs to its curriculum. U.S. News and World Report considers Bellevue University one of the top 10 schools in the United States for online students. Students who attend a college or a university that does not have accreditation will receive a degree that is almost worthless in the real world. They cannot transfer to another school, and they may have a difficult time finding a job. As Bellevue has regional accreditation, this isn’t a problem that affects its graduates. Not only does the university have professional approval from the North Central Association of Colleges and Schools (NCACS), but it also has accreditation that allows students to use financial aid and transfer college credits. It also has specialized accreditation from the International Assembly for Collegiate Business Education (IACBE). IACBE accredited the university’s graduate and undergrad programs in business and accounting. When applying to the university’s undergrad accounting program, students must show that they have some type of high school education. They can submit a high school transcript that shows they earned a diploma or a certificate that shows they passed the GED exam. The university will also accept a homeschool certificate or a certificate that shows the student passed a high school equivalency test administered by the state. In some cases, the university will accept students who do not have a diploma or certificate but completed at least nine credits of college-level work. Any student transferring credits to the university must provide official transcripts from all schools attended. The university will use those records to determine if it will accept those credits. Students can arrange for their past schools to mail paper copies to the university, but they can also submit digital copies of their records. The only other requirement for incoming students is the completion of the online application. Bellevue asks students to pay a $50 submission fee. It may offer some fee waivers for students from low-income households. This waiver allows them to apply without paying the fee. As Bellevue offers both an online and an in-class accounting program, the cost that students pay will depend on which version of the program they choose. The cost for students attending classes on its Nebraska campus is just $298 per credit hour. Those who take online classes will pay $415 per credit hour. The university offers a discounted rate for any student who is on active duty with any branch of the military. Military students pay only $250 per credit hour for any of the classes they want to take. All students are responsible for any additional costs, including textbooks or living expenses. In October of the year before they start classes, students can visit the FAFSA website and complete this form. It is completely free but requires some confidential information. Students must answer questions about their families’ finances, which will determine how much of a contribution their families can make towards their education. The university will accept a combination of personal money, federal funding, and employer reimbursement. Students can get financial aid that covers 100% of their costs. Completing the FAFSA is the best way for incoming students to see what government aid they will get, including both federal and state aid. Undergrads typically qualify for the Pell grant and for at least one other grant. They can also use the subsidized loans available for undergraduates. Once the university receives this form, it will look at whether the student qualifies for any scholarships also. Students can also submit a scholarship application. The deadline for these scholarships starts at the beginning of December for early bird students. Students can submit scholarship applications up through the middle of July and still get some funding for the fall. Bellevue University recommends that students apply for funding early in the year before it hands out all its scholarship money.